This weekend was too good to be missed: a three day festival of gardening with, in our region of Centre, 97 gardens open. These ranged from the vast gardens of local chateaux to those of a much more domestic scale. 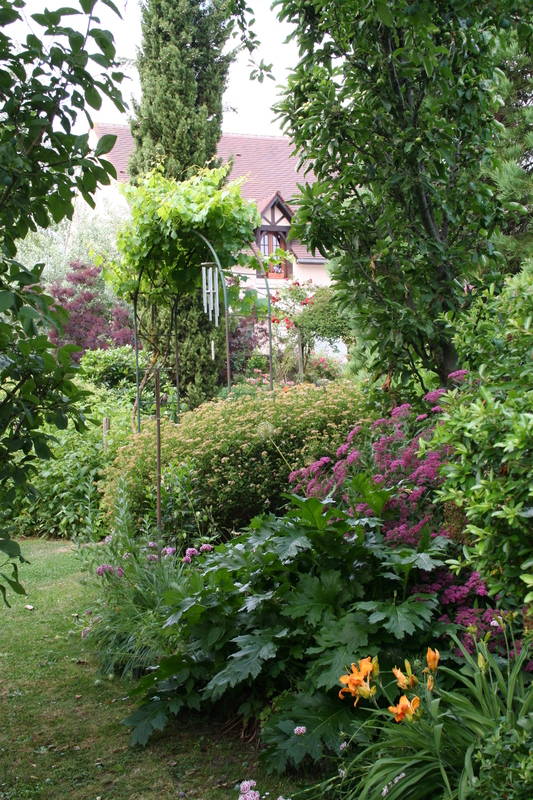 Having spent ages putting together a web site on Loire Valley gardensI was keen to try some of those smaller, less polished gardens, the passion and pride of their private owners. 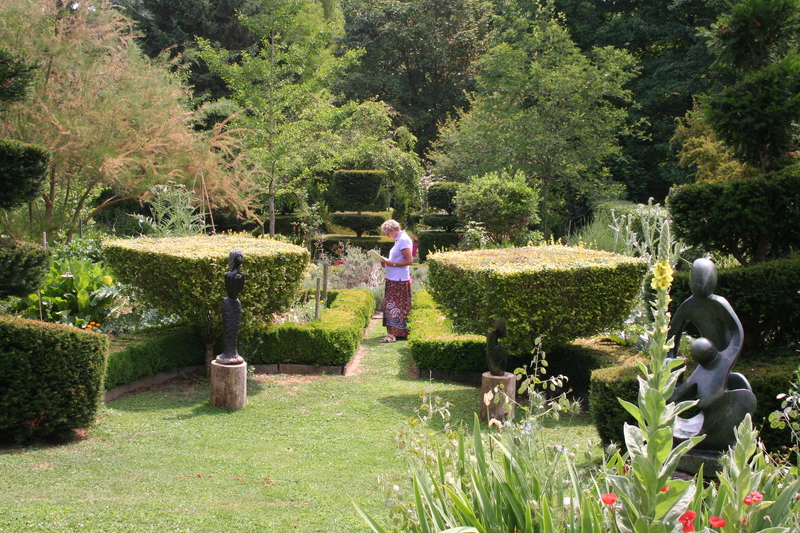 The list of great gardens was tempting but we did resist, choosing as our first port of call the Domiane de Prieure at Valaire, where an art gallery and garden have been established in the grounds of an 11thC priory. 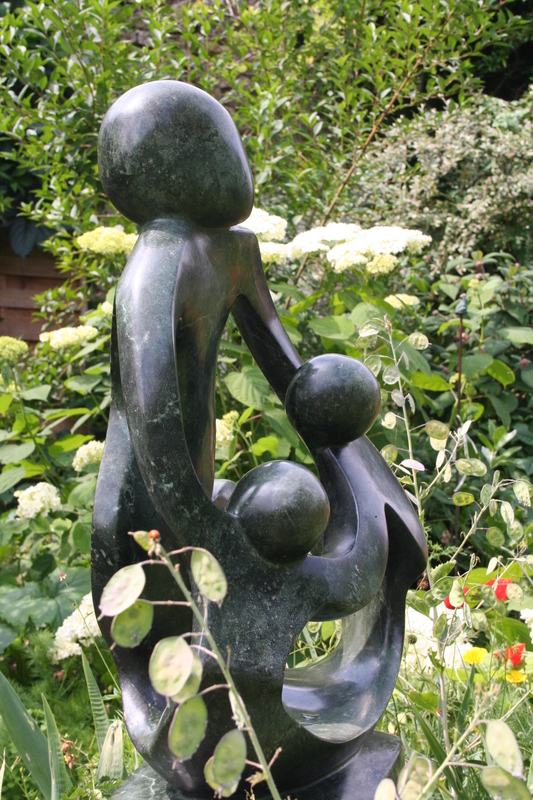 It is a pretty place, with interesting planting and sculptures dotted about, created as a private garden but open now to the wider public. Les jardins des Metamorphozes offers a series of garden styles in a small space: formal and informal, with French, English and oriental influences inspired by notable gardens visited by the owners. Chatting with the owner we were recommended to another garden on our way home, the Jardin du Pouzet at Couddes. An enthusiastic ex-nurseryman has retired and failed to sell his business (we can sympathise, having had the same problem in the UK). After a period watching his enterprise deteriorate he decided to create a garden from the old nursery, finding a new use for the site and recycling to remaining plants. Passionate and knowledgeable, the owner will guide you around and show you his horticultural treasures if he likes you, and I am delighted to say we got on very well indeed. It has to be said that this is not a garden as many visitors understand it and some will go away disappointed, but it features 200 varieties of Rose and depending on the season, thousands of bulbs, bedding plants and herbaceous plants in new beds amongst the established trees and shrubs, many rare or not often seen. He also has France’s biggest collection of Gingko and we spent a contented couple of hours exchanging plant stories as we toured his collection. 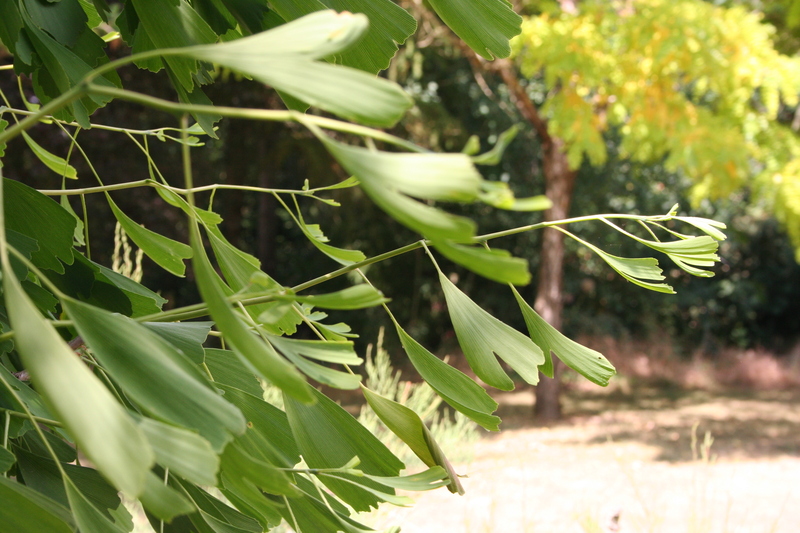 A tree new to me seen in this garden: Euodia / Evodia, now called Tetradium daniellii, a meliferous plant from S.W. China and Korea. It is named for William Daniell, an army surgeon who, in the 1860s, collected a specimen in Tientsin province , China. I hope we have made a few friends today and it was suggested we join an association of parks and gardens of the Central region so that we can meet more gardens owners. I am very keen to get involved with local horticulture and have sent them an email to see if they will have us. I gather our garden will have to be inspected by experts….is it good enough? After some recent rain, the first in several months, the garden at home is looking much happier, although the gravel patio has almost as much growth on it as the lawn, which is now in need of a cut. We have a number of projects on the go…..but more on these later.